Wanzl's durable order picking trolleys contribute to optimum functioning warehouse logistics. With a number of systems, there are designs for all industries and applications. . Click here for a detailed brochure or below for examples of some of the popular order picking solutions.. Since 2010, Wanzl MultiPick trolleys have been rolling down the aisles of UK supermarket chain Waitrose Stores. The trolleys can be used to pick up to 6 orders at a time. The MultiPick trolley is set apart by its fifth castor, which offers great manoeuvrability, even if it is only being steered with one hand. Can be rotated 360° on the spot. 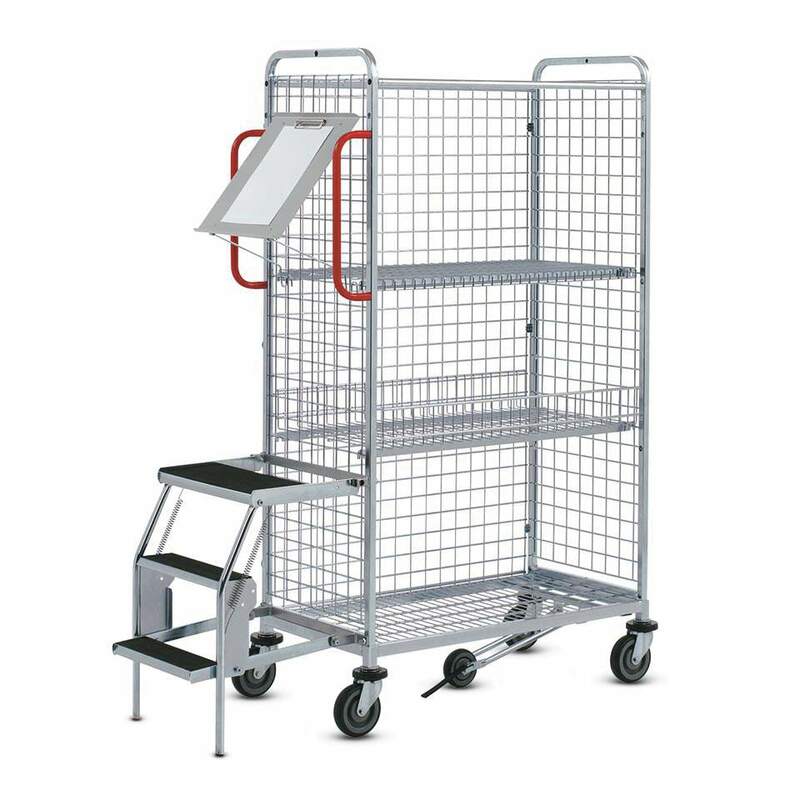 The KT3 order picking trolley is the “go to” for so many picking jobs. The optional fifth castor makes it particularly agile and easy to manoeuvre. Add on accessories such as handles, writing board, computer holder and step ladder to help make picking jobs that more efficient.